Address: 51 Angel Street, Hadleigh, Suffolk. 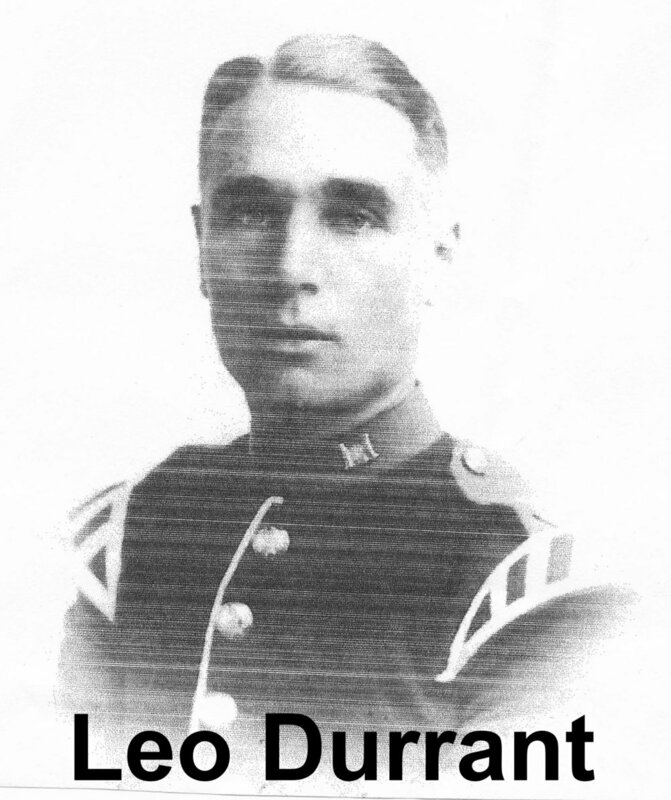 Leo Durrant was born in Hadleigh in early 1900. 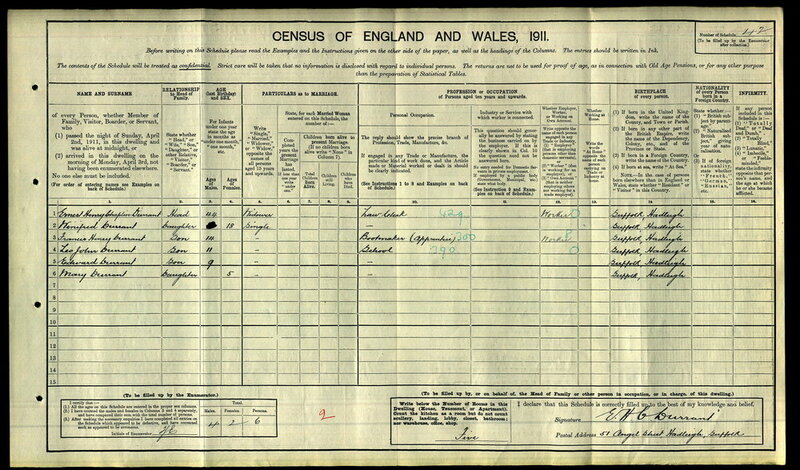 He was the son of Ernest and Kate Durrant who in 1901 lived at 51 Angel Street. At that time Leo was the youngest of 5 children, siblings; Marion (10), Harold (9), Winifred (8) and Francis (4). He served in France where he was wounded and subsequently returned to England suffering from dysentery. 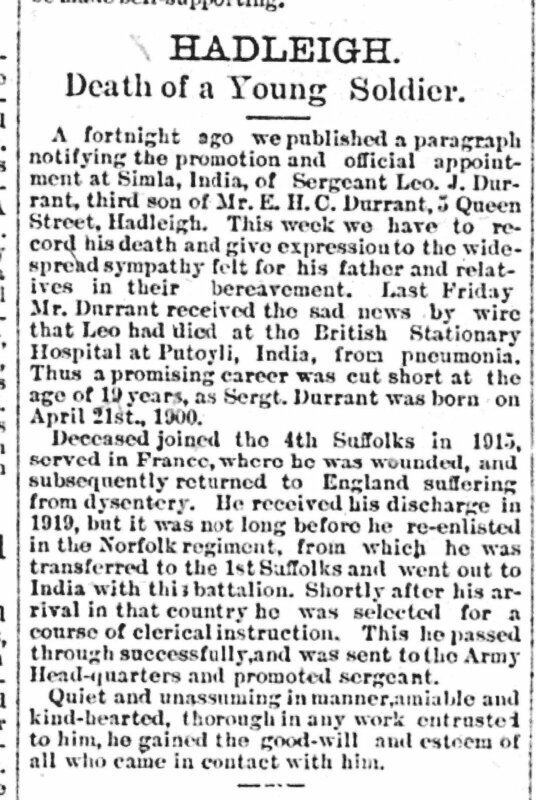 He received his discharge in 1919, but it was not long before he re-enlisted in the Norfolk regiment from which he was transferred to the 1st Suffolks and went out to India. 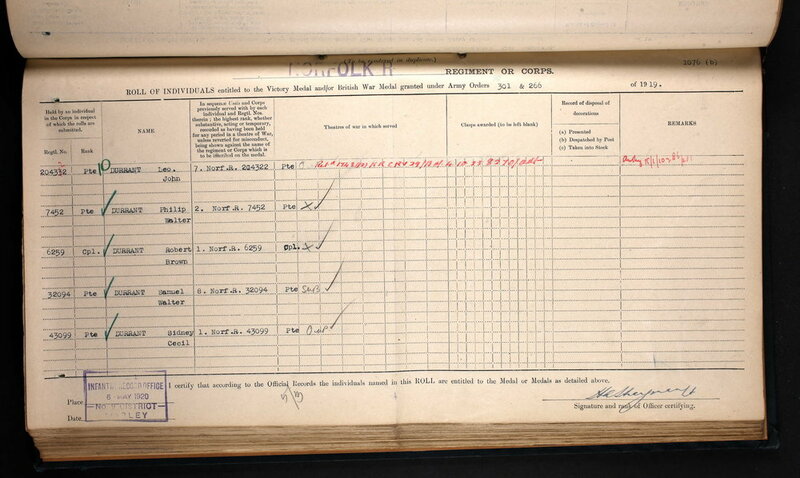 On arrival in India he was selected for a course of clerical instruction which he subsequently passed and was sent to the Army Head-quarters. 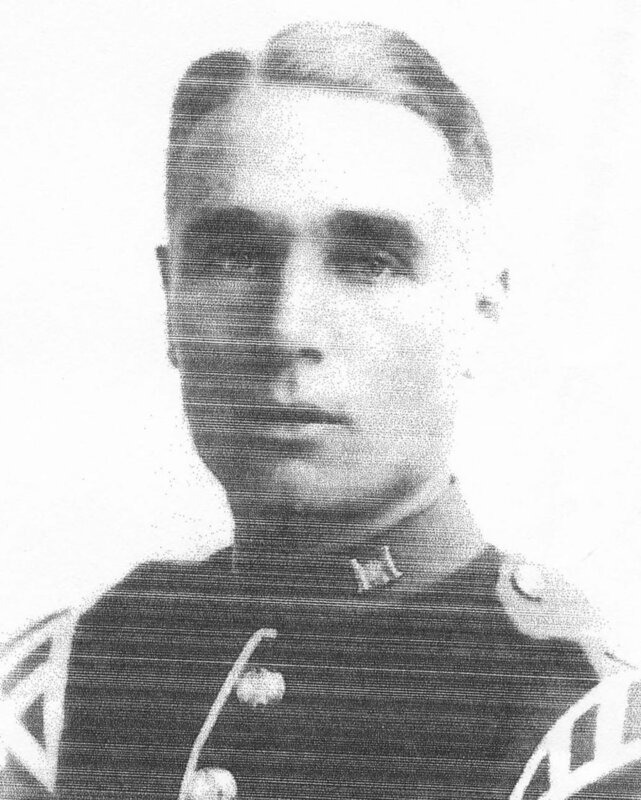 However, shortly afterwards he contracted pneumonia and died at the British Stationary Hospital at Putoyli. 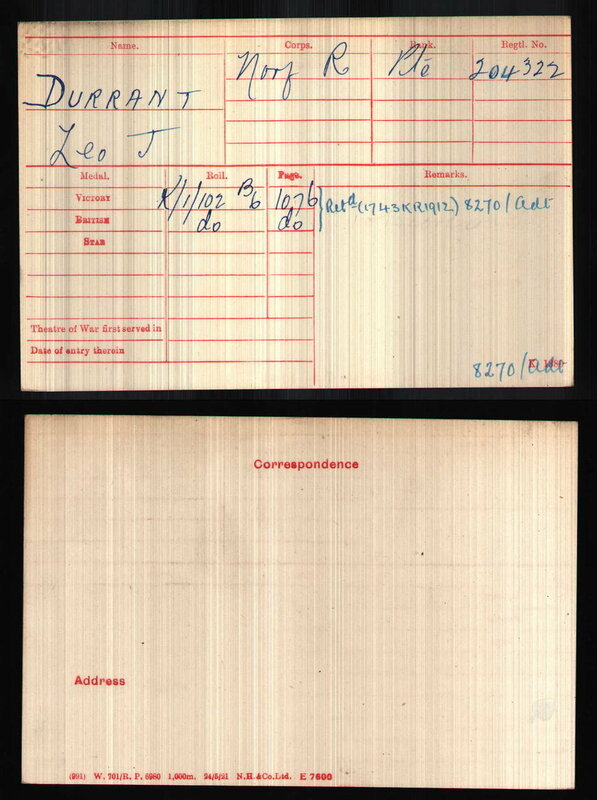 Leo was initially buried at Jutogh New Cemetery, but his name was later added to the KIRKEE 1914-1918 MEMORIAL. By 1911, his mother had died and he also lost his two oldest siblings, however, two more children had been born; Edward (9) and Mary (5). 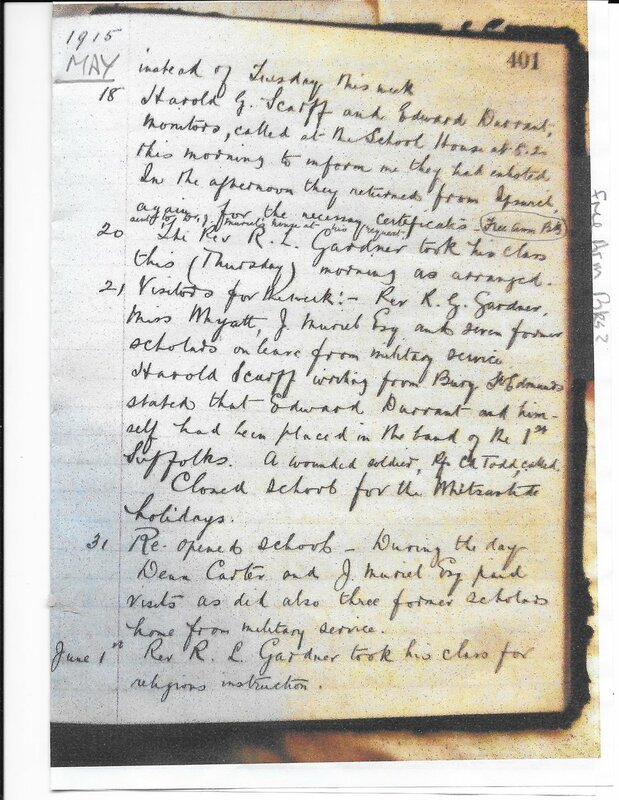 Leo’s father was a law clerk and in 1911 Leo was just 11 and attending Bridge Street School. At the age of 15 he enlisted with the 4th Suffolk territorials; and from his photograph his uniform suggests he was a musician; boy drummer or bugler. *The KIRKEE 1914-1918 MEMORIAL was built to commemorate more than 1800 servicemen and women who died in India during the First World War, who were buried in civil and cantonment cemeteries in India and Pakistan whose graves were considered to be unmaintainable after India gained its independence in 1947. 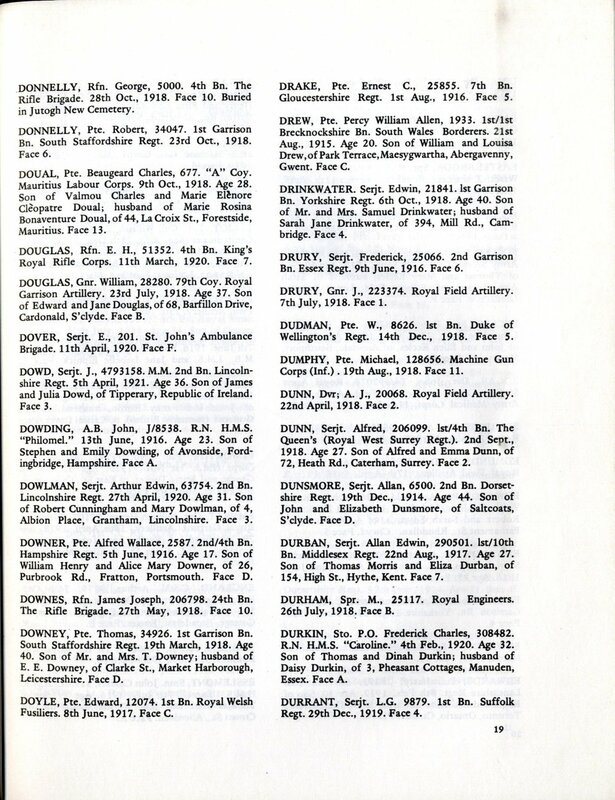 For several years now, the Commission has been working to reinstate the original graves of a large number of these individuals and to date, the official commemoration of over 1000 individuals have been reverted back to their original burial location. 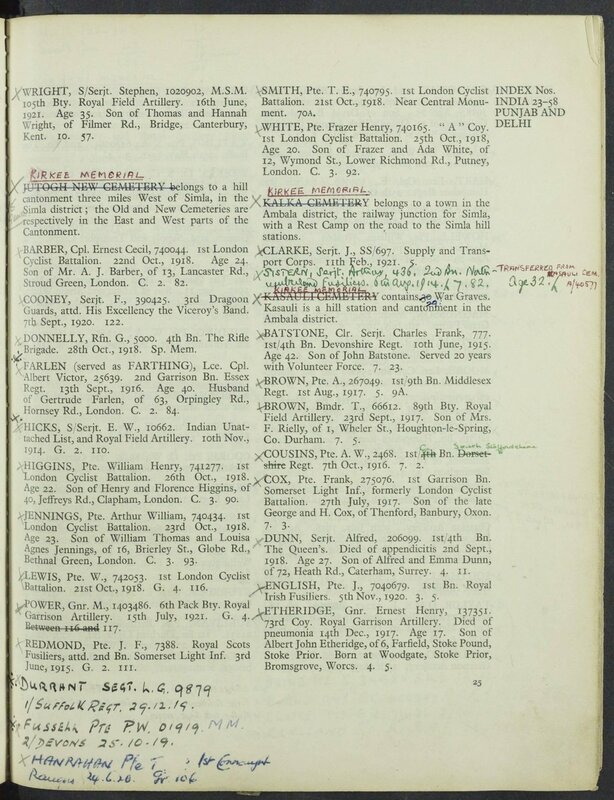 However, their names will remain on the KIRKEE 1914-1918 MEMORIAL for the foreseeable future. 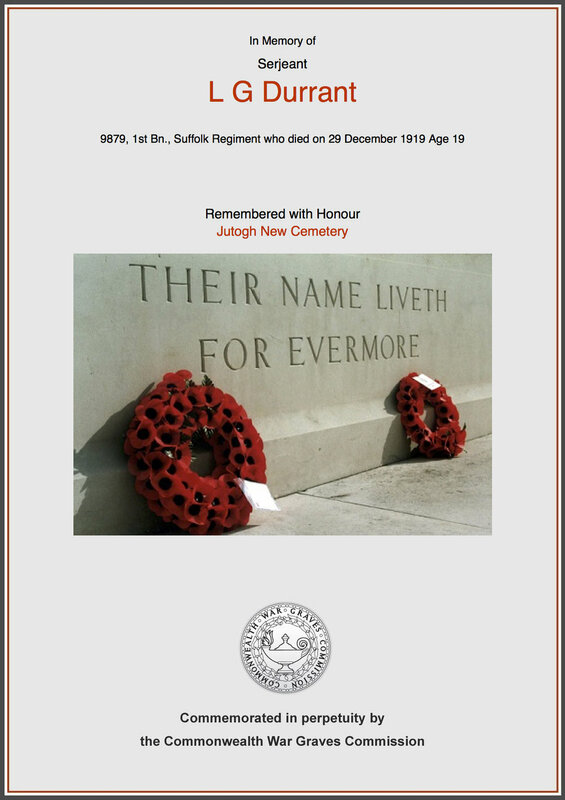 We hope that this page has been able to tell the story of Serjeant Leo John Durrant. If you know of any information which might help to add to the story then please get in touch.